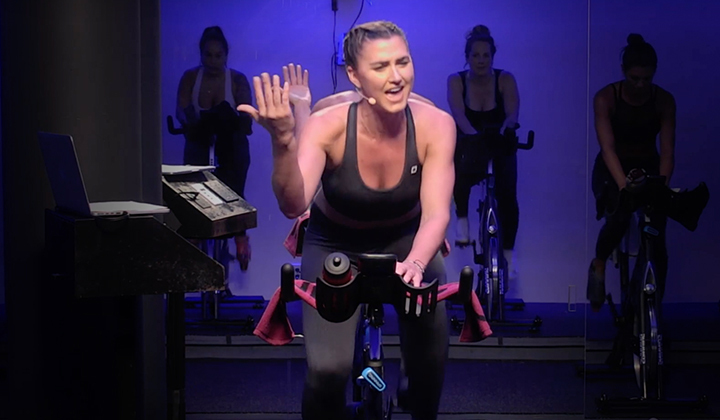 If you’re going to your first Spinning® class, plan to arrive early to meet your Certified Spinning® Instructor and let them know it's your first time. They'll happily show you around and get you properly set up on the Spinner® bike. 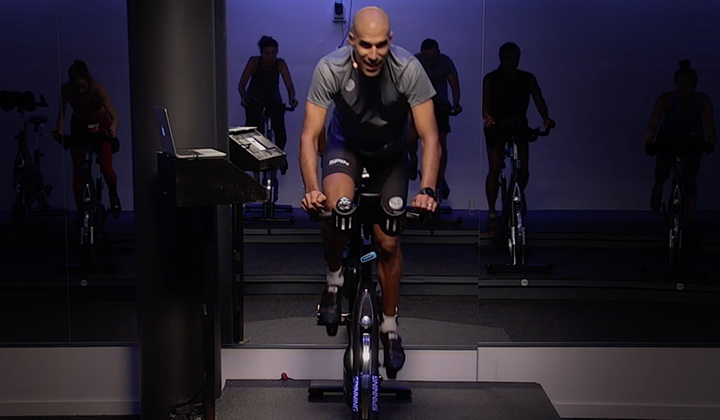 Our instructors are trained to help you meet your fitness goals, so feel free to let them know what you want to achieve with the Spinning program and we'll take you there! Stay hydrated before, during, and after your Spinning class. We recommend drinking at least 40 fluid ounces before, during and after the workout. Bring a water bottle and you'll find a place to keep your water handy on the bike so that it's easy to reach and drink water during your workout. Make no mistake; you will sweat it out! During your Spinning workout, expect to work up a great deal of perspiration. Bring a small workout towel to place safely on your bike to keep you cooler and more comfortable. Start by wearing everyday workout clothes such as a tee shirt or tank top, form-fitting bottoms and athletic shoes. Once you're ready to fully gear up, we also recommend moisture-wicking tops or cycling jerseys, cycling bottoms with padded support, and cycling shoes and socks. Start off on the right foot. For your first classes, athletic shoes will work just fine. Eventually, you'll want cycling shoes to make a great Spinning class even better. Wearing cycling shoes will maximize your performance, help you pedal more efficiently, and keep you safer on the bike. 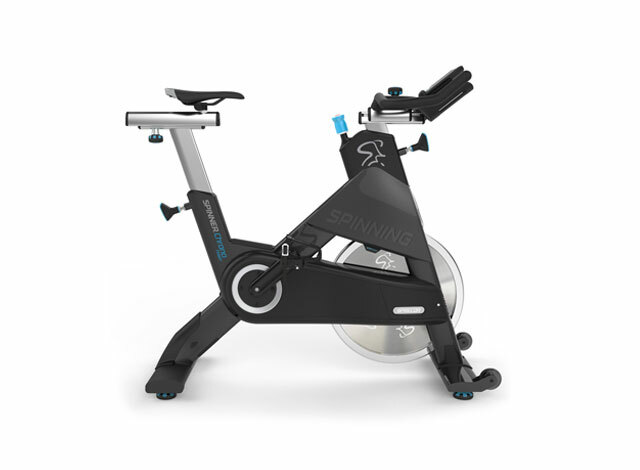 Our Spinner bike pedals are SPD® cleat compatible, but check with your gym or studio. Learn more about the benefits of "clipping in" to the bike like cyclists do. 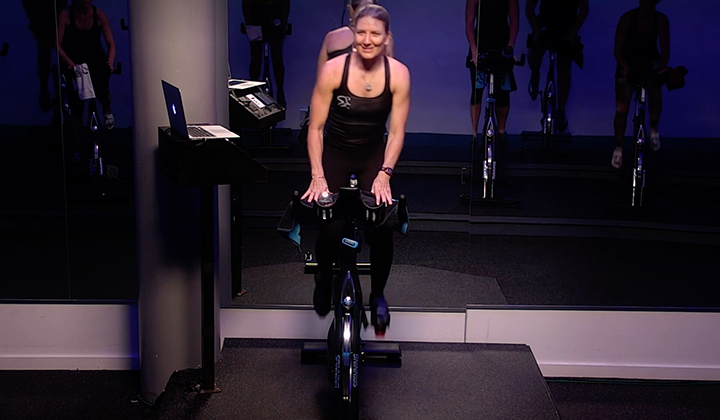 By tracking your progress with a heart rate monitor, you will get the most out of your Spinning classes. Choose the heart rate monitor that is right for you and take the guess work out of your training! Feel free to contact us if you have any questions before your first class. Enjoy the ride!